Companies here will move to an electronic mode of reporting financial information that will replace static paper-based formats. Starting October 2013, all 60,000 companies that are required to file their financial statements with the national regulator of businesses have to adopt the extensible Business Reporting Language (XBRL), an emerging standard format for businesses to communicate and process financial information electronically. 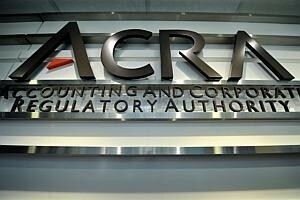 Based on filing cycles, a majority of companies would only have to file their financial statements in full XBRL in 2014, said the Accounting and Corporate Regulatory Authority of Singapore (Acra). XBRL adds "tags" to individual lines of financial information (such as "revenue" or "net profit") within a template drawn up by Acra. Although XBRL is not new and was introduced in 2007, only 20 per cent of the 60,000 companies have migrated to full XBRL reporting. The other 48,000 entities in Singapore now have to get used to the XBRL taxonomy. XBRL adoption will require initial investments from companies, say parties BT spoke to, but there are benefits. Because line-items are "tagged" and machine-readable, companies and data analytics firms can better interpret financial information using analytics software, while investors and users of financial information can gain more corporate visibility and understanding. There could also be easier detection of fraud and financial anomalies. Under the new regime, the option for partial XBRL filing, around since 2007, will be removed. And companies have to get used to Acra's new XBRL tool called BizFinx instead of the old FS Manager platform. Through BizFinx, companies enter their information found in their primary financial statements and statutory reports that include the independent auditor's report. Companies are also able to add up to 11 disclosure notes on items such as trade and other receivables, revenue, government grants, property, plant and equipment, and operating segments. Ultimately, the data will have to fit Acra's expanding taxonomy of financial information because the option for user-generated fields will be removed. The uniformity that comes with XBRL, however, enables a business to be compared with a competitor. Ong Siew Kim, senior general manager at SME advisory DP Information Network, said XBRL comparisons between dozens of similar companies can be done "within seconds". "Singapore companies stand to improve by benchmarking against the 'best in class'," she said. "It also allows investors, accountants, analysts and governments to instantly scan and analyse corporate results, and compare them very quickly." To let companies understand the benefits of XBRL-powered business analytics, Acra will extend company officers or directors one free data analysis use each year to measure four financial indicators - revenue growth, net profit margin, return on assets, and total asset turnover. For more comprehensive analysis, however, companies would need to look to third-party providers such as DP Information or Crimson Logic. Another upshot for listed firms, particularly illiquid and thinly traded counters, is that they could "experience an increase in analyst coverage, forecast accuracy . . . after XBRL adoption". That is according to a study of US-listed companies by Oliver Li, professor at the department of accountancy at NUS Business School, which found that XBRL, required by the US Securities and Exchange Commission in 2009, lowered the costs of information processing and yielded some tangible benefits. Whether or not what happened in the United States pans out on the Singapore bourse will depend "on whether XBRL filings are reliable and timely submitted", said Prof Li. "In addition, it also depends on whether and how investors in Singapore use this kind of data. If the data are of good quality and investors do act upon them, then some of the benefits found in the US can also apply to firms in Singapore." But there might be some challenges in the short run. In the United Kingdom, there was initial resistance to XBRL because companies felt they were being landed with an additional burden and little direct benefit, said Paul Booth of ICAEW's IT faculty. "One specific problem was that many of the necessary software products were not ready until shortly before mandation," said Dr Booth. SMEs in Singapore could also see things the same way. "For SMEs' systems to be XBRL-enabled, investing into XBRL software and training people in XBRL codes means more resources," said Ms Ong. Companies would also need to spend time matching their financial statements to the XBRL taxonomy "as close as possible", said Themin Suwardy, associate professor of accounting practice at SMU School of Accountancy. Said Prof Suwardy: "Acra indicated that it will provide a dictionary of synonyms, but obviously it cannot map all the possible names to the XBRL taxonomy. Companies should start talking with their accounting software vendors to see if they can offer a taxonomy mapping and automate the process of creating XBRL financial statements." Preparation is underway. Acra has released a beta version of BizFinx for download to help companies familiarise themselves with the tool before the finalised version is released in mid-August. It has also test-driven the BizFinx prototype in a focus group of over 70 different parties. Chiang Chai Fong, company secretary and director of Azec Worldlink Management Services who was part of the focus group, found the BizFinx tool, which has auto-populating features and drag-and-drop functions, more user friendly. "More resources are needed to prepare the financial information in XBRL for the initial periods," Ms Chiang said. "But it would be easy in the subsequent financial period as it only requires an update of the current financial period figures into the templates."